« Looking for a unique Christmas gift idea? 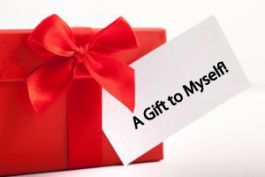 Give Yourself the Gift of Laser Therapy! The Christmas season can be such a beautiful time, but is often crazy hectic and filled with much pressure and unwelcome stress. Most of us have many responsibilities during the holiday season, which if we don’t manage well, leave our emergency stress response turned “on” most of the time. The more your body’s stress system is activated, the harder it is to shut off. Managing stress in our lives is all about taking charge and being in control of our thoughts, our emotions, our schedule, our environment, and the way we handle our issues. The mind is so powerful no matter how we choose to use it and we always have a choice about the way we respond. Give yourself the gift of Laser Therapy and sail through the Christmas chaos this year. Calgary Laserworks is all about helping people empower themselves to live a healthier, happier life…including reducing stress!